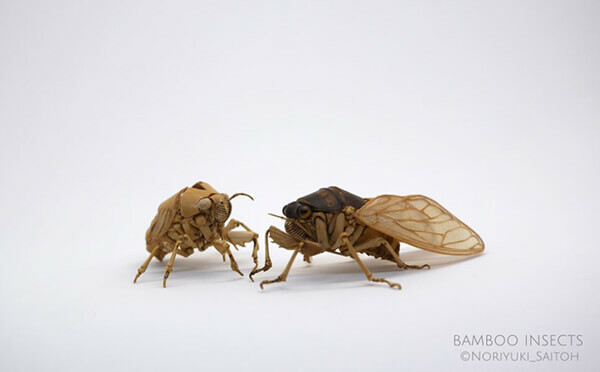 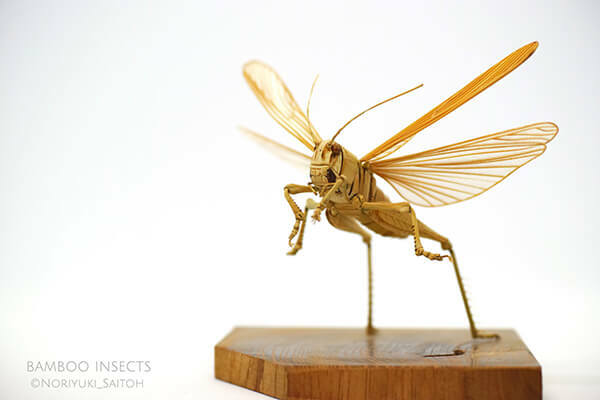 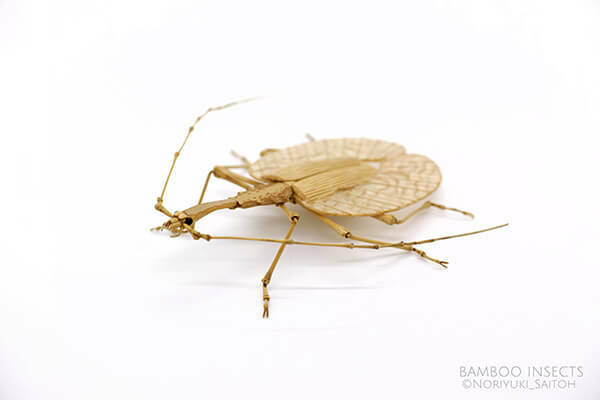 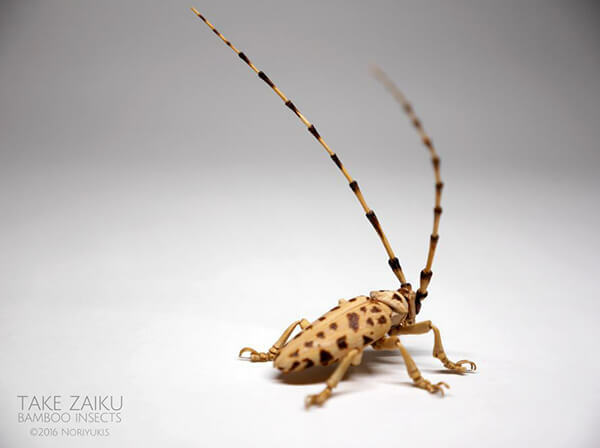 Bamboo craft expert Noriyuki Saitoh is known for his life-size realistic insect sculptures (previous). 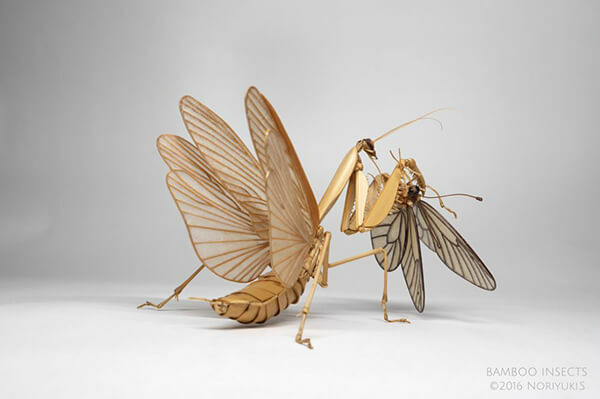 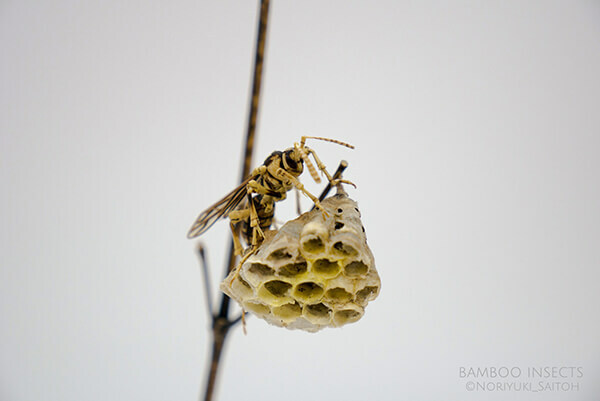 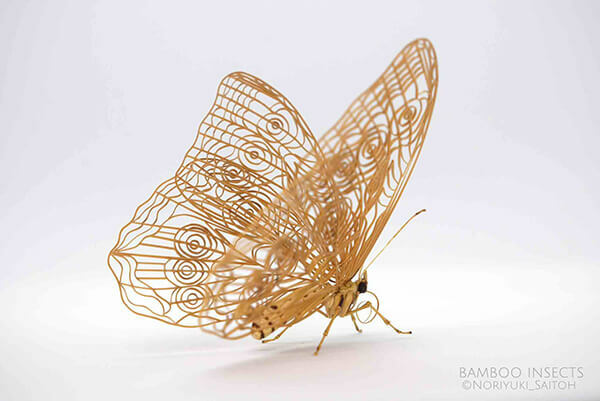 Using thinly sliced bamboo, Saitoh formed wings, legs and antennae of all kinds of insects such as Butterfly, dragonfly, beetle, bee, mantis and more. 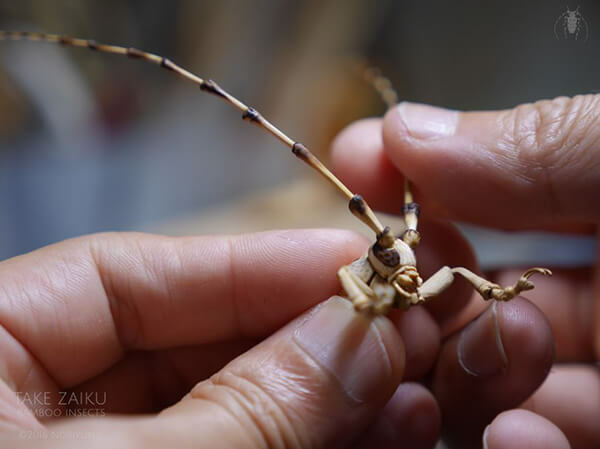 By bending, scoring, and layering pieces of the sustainable wood, these creatures look as if they could scurry away at any moment. 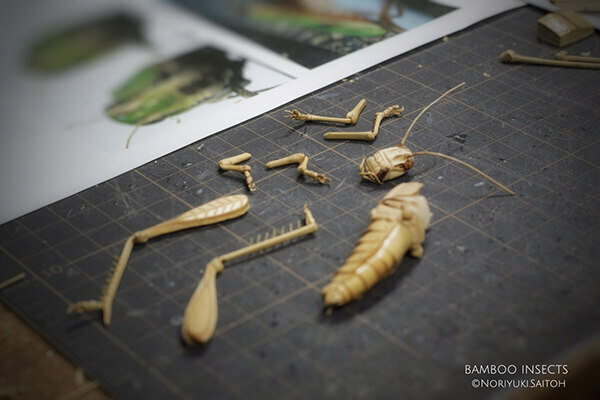 Take a look at these newly released creation below and you can find more and even behind-the-scenes peek of his sculptural process on Flickr.